Pretty much everyone uses Netflix a lot more than they would care to admit, so much so that a lot of us spend our weekends watching shows on the streaming platforms. Consuming content especially through streaming has become the sort of thing that pretty much everyone does, and since human beings are social animals it is only natural that we would want to talk about the shows that we are watching as much as possible and that we would want to do so using the veritable miracle of the internet that is social media. That being said, posting about the various shows that you might be watching on social media can often be a fairly clunky experience, but all of that is changing thanks to a cool new update coming to both Instagram as well as Netflix that would allow you to share your streaming experiences in a much more streamlined manner. This update basically creates an integration of sorts, one that would allow you to add the artwork for any particular show to your Instagram story and basically make things a little more official. This definitely beats having to take a screenshot and then uploading it. Now all you need to do in order to share your streaming experiences on Instagram at the very least is to tap a single button and then you will be taken to your story right away. Both parties benefit quite a bit from this. 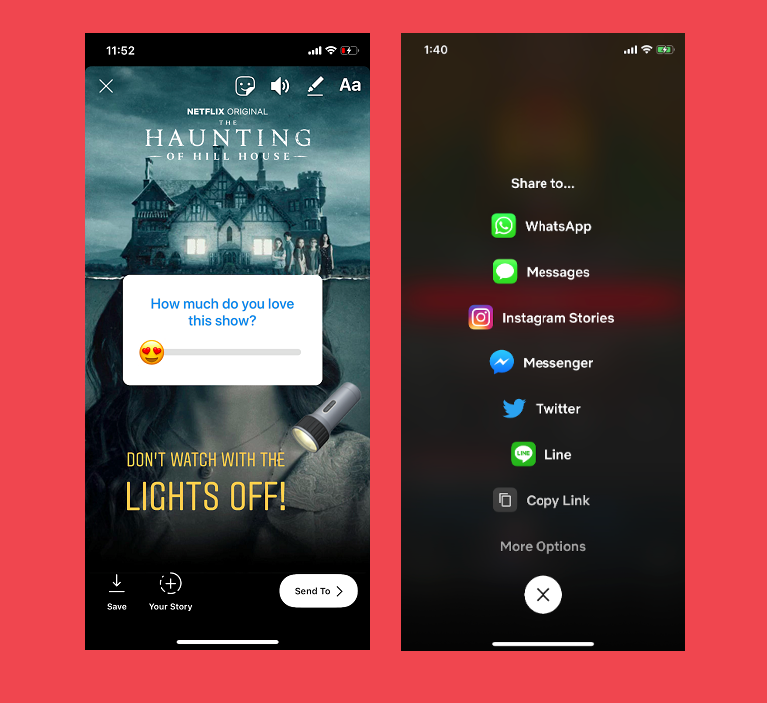 For Instagram it has basically become easier for users to make a very popular kind of post on the platform, and for Netflix they are going to end up getting quite a bit of free advertising once people start to use this feature which they are definitely going to do.